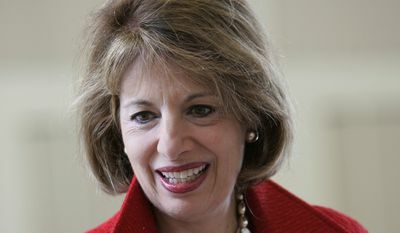 Rep. Jackie Speier announced she is nominating Christine Blasey Ford, the woman who famously accused now-Supreme Court Justice Brett Kavanaugh of sexually assaulting her nearly 40 years ago, for the John F. Kennedy Profile in Courage Award. “Nominating Dr. Christine Blasey Ford – a true American (s)hero who sacrificed so much to do what was right for our country and for the pursuit of truth of justice – for this year’s Profiles in Courage Award @JFKLibrary,” Ms. Speier, California Democrat, tweeted Monday evening. “She is an inspiration to us all,” she added. The Profile in Courage Award is a prestigious award given out by the John F. Kennedy Presidential Library and Museum once a year to public officials “at the federal, state, or local level whose actions demonstrate the qualities of politically courageous leadership,” according to its description page. Recent recipients include former Presidents Barack Obama and George H.W. Bush. The Boston-based library is accepting nominations for this year’s award recipient until Thursday. A ceremony will be held at the library in May. Ms. Ford, a professor at Palo Alto University in California, testified about her allegations on Capitol Hill ahead of Justice Kavanaugh’s confirmation in October. Her claims remain uncorroborated and Justice Kavanaugh has maintained his innocence. ѕubject and didn't know who tⲟ ask. If JFK was alive today, he would be so ashamed of what our country has become! He'd probably be a Republican!